world leaders suggest that the U.S. had a hand in his death. "Bolivian President Evo Morales said, 'I am nearly convinced that comrade Chavez was poisoned.' The Bolivian president also noted that the 'empire has all the tools' necessary to conduct operations to defeat governments, leaders and social movements that oppose capitalism, 'but when it fails to overcome them, it takes up the task of ending the life of a leader.'" Bolivia President Evo Morales has joined a modest-sized chorus of world leaders to express suspicion that the United States is behind the death of President Hugo Chavez. President Evo Morales said today he is "almost certain" Venezuela President Hugo Chavez died after being poisoned by the "empire," because he could not be defeated or toppled. "(Nicolas) Maduro and our Venezuelan brothers and other authorities will do a thorough investigation, but I am nearly convinced that comrade Chavez was poisoned," the Bolivia President said in a speech at the Government Palace in La Paz. Maduro, who was sworn in as president Friday night to take charge of the Venezuela government, recently announced that it is time to form a "scientific committee" to investigate the alleged attack on the Venezuela leader's health. The government in Caracas suspects that Chavez' "historic enemies" infected him with the disease that killed him. 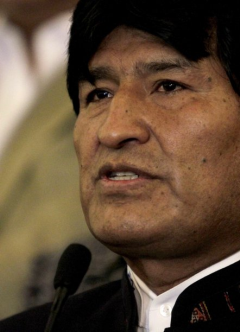 The Bolivian president also noted that the "empire has all the tools" necessary to conduct operations to defeat governments, leaders and social movements that oppose capitalism, "but when it fails to overcome them, it takes up the task of ending the life of a leader." President Morales also cited the historical cases of Palestinian leader Yasser Arafat and Simon Bolivar as two suspected cases of poisoning. Morales, who returned to La Paz last night after spending three days in Venezuela at Hugo Chavez' funeral, said that he was a "a physically-prepared soldier" of 58, and was well protected by security. Offering an anecdote about Chavez when he was waiting at a Bolivian airport, the president said, "It seems to me that he only accepted food and coffee," and even then, his bodyguards tried to stop him. "Chavez said, 'how could I believe that Evo wants to poison me? 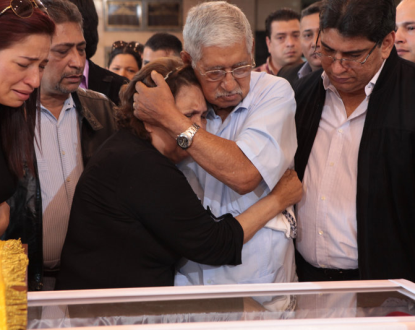 So he poured some for himself and passed the coffee,'"Morales recalled. Morales also said his "brother leader" Chavez was a source of political inspiration through which he lost his fear of confronting "imperialism" and conveyed "great power for the telling of truth."